Styled with andie short . 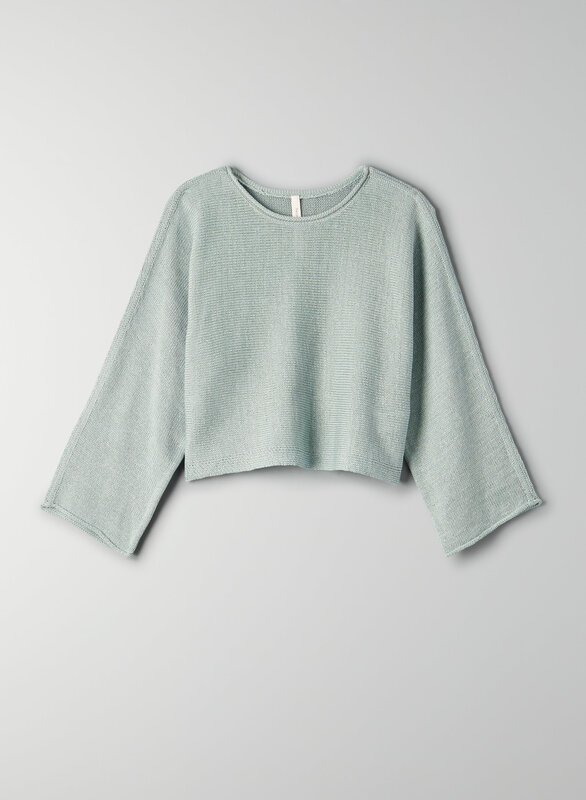 This cropped sweater is knit with 100% Mako cotton — an ultra-fine fibre known for its soft and silky feel. Perfect cropped sweater for spring. This sweater is comfortable, casual yet put together, pairs beautifully with everything high wasted, and will transition well into summer months. Casual sophistication I know and love from The Group. Perfect transitional sweater! My only wish would be that it’s an inch or 2 longer at the waist. I normally wear Xxs or Xs but I ordered Medium to get more coverage at the waist (still looks cropped). That’s why I gave it 4 stars instead of 5. Otherwise, I love the colours this season! I now own 3 of these sweaters.